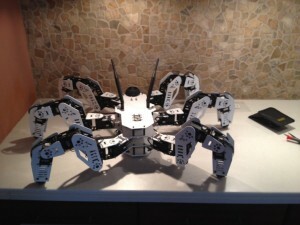 Forum Moderator KevinO just released photos and a video of his newest creation – Golem: the DYNAMIXEL MX-64 based Hexapod. 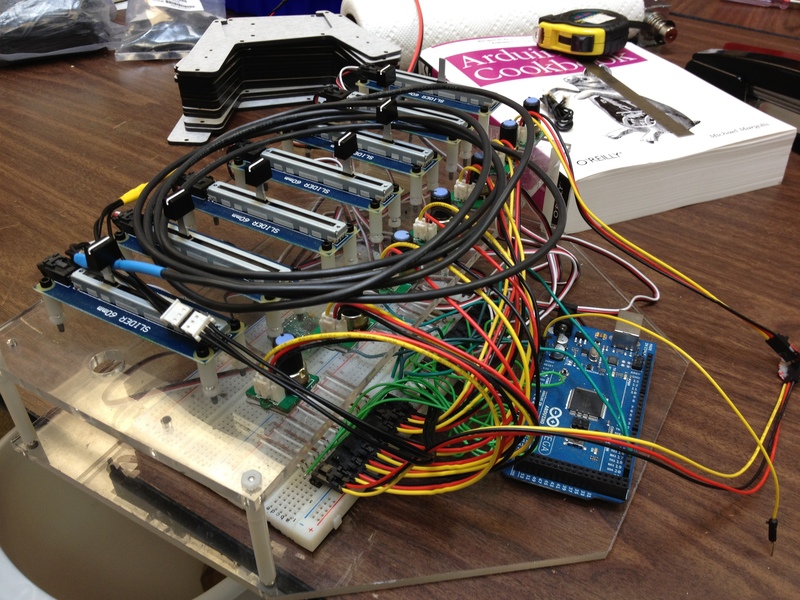 KevinO wanted to learn ROS and to further that goal he built a custom robotic development platform. 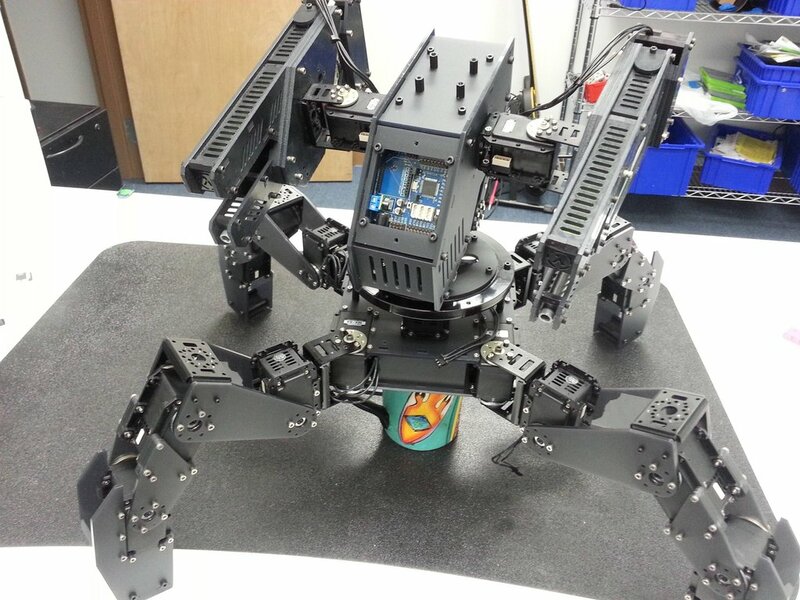 Golem is 76.2 cm in diameter and weighs in at 7.3 kg. The body plates are custom CNCed T6 Aluminum plates. Golem’s brain is an Intel NUC D54250 and has a gyroscope, accelerator, and compass attached for positional/orientation awareness. Right now KevinO controls the robot manually via a Playstation 3 controller over Bluetooth. An entire deck of the robot is dedicated to the massive 6000mAh LiPo battery. And that’s just the tip of the iceberg! KevinO has plans for Golem, including adding a camera system mounted on the MX-28T turret and using the Intel Nuc’s 4th Gen i5 processor to do some amazing things with vision tracking. If his previous ‘bot Charlotte is any indication, we’re in for a real treat. We’re excited to see what KevinO will do with his Golem, but until then this gait test video will just have to sate our appetites.